DNA is the building blocks of organic life on our planet. A complicated web of data that is still the subject of constant study, scientists see medical and commercial potential in unlocking different species’ complete genomes — including cannabis. A genome is an organism’s complete set of DNA and according to the US National Library of Medicine, contains all of the information needed to build and maintain that life, whether it be plant or animal. “The genome is the coding we have in our unique DNA. Every cell of our body. It’s made up of half the code from our mother and half the code from our father. And this is true for also plants and animals,” professional genome mapper Dr. Gil Ronen told Grow. Ronen is the president and co-founder of NRGene, an Isreali company that specializes in sequencing the genomes of plants and animals for industries using artificial intelligence. The company has successfully resolved the sequences of genomes for wheat, rye, oats and more — far more than others before. According to Ronen, all DNA codes are a very long chain of chemicals, made up of four different chemical building blocks — represented by the letters A (adenine), G (guanine), C (Cytosine) and T (Thymine). A complete genome is hundreds of millions of these letters long. 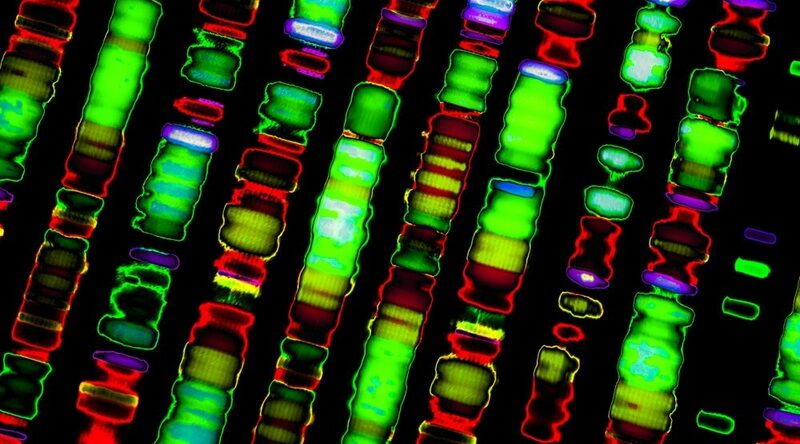 Sequencing a complete DNA genome is no small matter. Even the human genome, according to Ronen, has not been completely sequenced — despite billions of dollars spent. The process of sequencing has become considerably more advanced over time as technology progresses. Thankfully, “it’s very complicated to do, it’s not that complicated to explain,” said Ronen. The most common technique involves placing chemical extract from cells into a machine that spits out an incomplete portion of the DNA code in the form of the letters AGCT. Some machines will offer 100 letters and some very sophisticated machines can give up to 100,000 letters, according to Ronen. “It’s in very small pieces and you need to build it to full without the picture, so you don’t know how it looks like,” says Ronen. “You don’t have one piece for every place in the genome, you have 100s of pieces that are overlapped. It’s like you have a mix of 200 different puzzles. The individual pieces of code overlap but are not identical. Powerful AI systems are being used to fit the pieces together perfectly. When it relates to cannabis, things can be tricky since the plant itself is complex from a genetic perspective. According to Ronen, if a cannabis breeder wants their crops to favour a particular cannabinoid (like THC or CBD), identifying the genes need to combine in as many functional genes that are responsible to produce the chemical. Knowing what genes the plant requires to produce the desired cannabinoid, as well as making sure they’re as high functioning as possible, can help growers get the best quality results from their plants. A complete genome helps growers understand their plants better and plan accordingly. Traditional breeding methods can take up to two or three times as long, according to Ronen. “You want to find the progeny with the highest number of functional genes that produce THC,” he says. Besides potency, a complete genomic picture can help spread commercially appealing traits like mould or fungi resistance, serious problems for any type of agriculture.